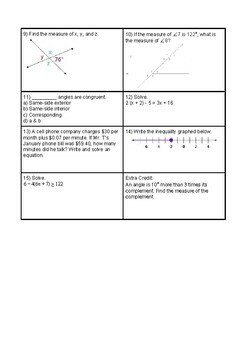 This quiz requires the student to determine the measure of missing angles using known vocabulary such as vertical angles, corresponding angles, etc. 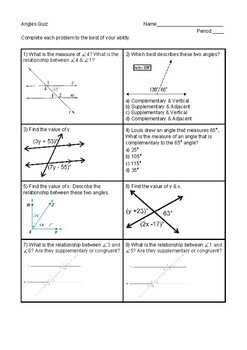 It also has many questions that involve solving equations. I hope you enjoy!